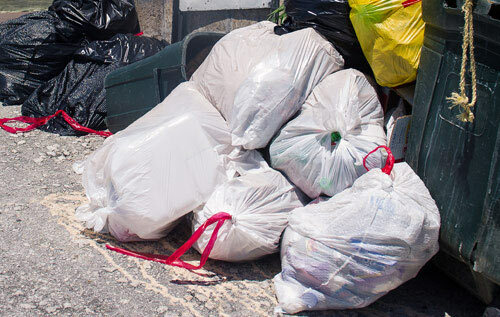 The Department of Waste Management, Ministry of Public Works, today advised that due to the Cup Match holiday, West End garbage will be collected on Monday, July 28th and Wednesday, July 30th. East end garbage will be collected on Tuesday, July 29th and Saturday August 2nd. Recycling will be collected on Thursday, August 7th in the West and Friday August 8th in the East. When enjoying Bermuda's outdoor environment this holiday season remember to mindfully handle your waste by leaving public areas clean and beautiful for the next person. Try to practice pack-in-pack-out; take waste home with you for disposal instead of leaving on docks, beaches and parks. Changes to waste collection days due to public holidays can be found in the 2014/15 Garbage and Recycling schedule which can be found in the blue pages of the BTC phone book, or down-loaded from www.wastemanagement.gov.bm. For further information about waste management join us on facebook at www.facebook.com/recyclebermuda or telephone 278-0560.